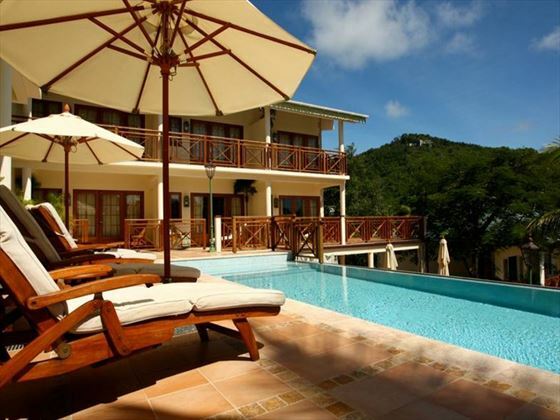 Situated on Friendship Beach on the island of Bequia, Bequia Beach Hotel is a charming boutique hotel which fuses luxury with comfort. 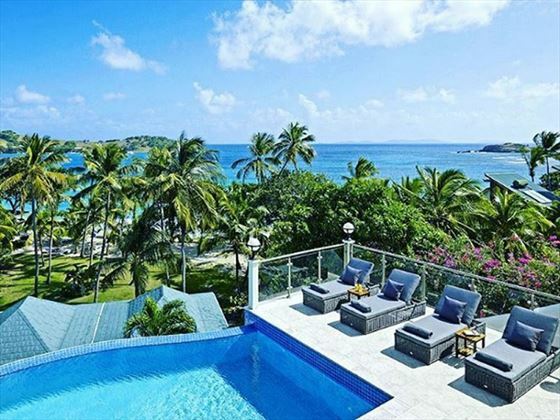 This is the perfect base for the kinds of relaxing vacation you’ll reminisce about for years – elegant accommodation, tranquil pools and decadent dining. 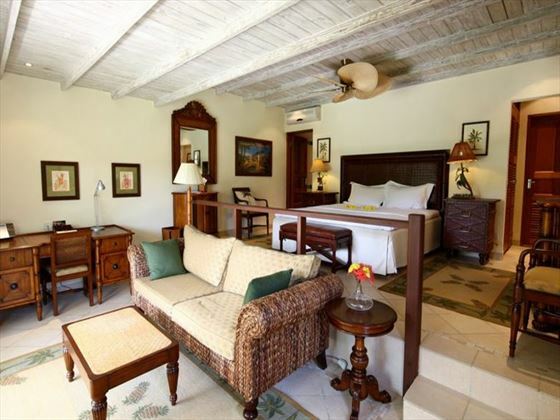 The hotel is designed in a classic colonial style with a modern twist. It’s no surprise that watersports are a fun way to spend your time here, given the great location of the hotel. But there’s also a spa overlooking the gardens if you’d rather relax during the day. 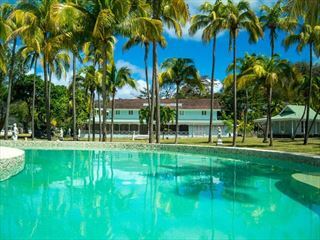 The hotel has two pools, surrounded by breath-taking scenery, as well as a secluded beach area for when you simply want to take in the views and revel in the peaceful atmosphere. 43 Suites and Villas, mostly with sea and beach views set in the hotel grounds whose gardens include fruit orchards and almond trees. 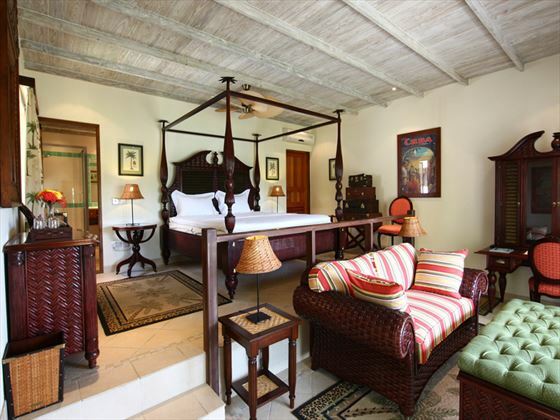 All are beautifully appointed with contemporary colonial interiors and private terraces furnished in bespoke rattan. Note: tea and coffee making facilities plus iron and ironing boards are available in room on request. Classic garden view room – Two rooms in one of the hotel elevated 2 - 3 story buildings set on the hillside, close to the property’s second pool and with a garden view. Available with either twin beds or double bed. 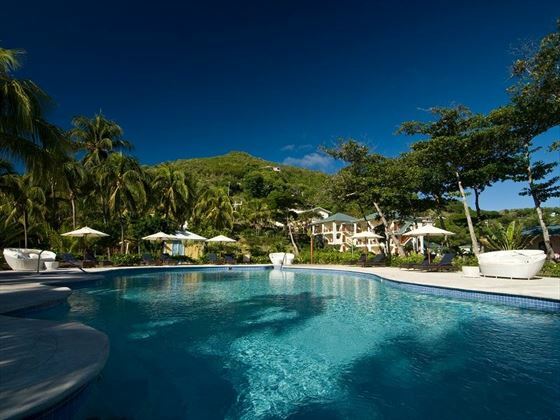 Classic pool and sea view room – Eight rooms in one of the hotel’s elevated 2 - 3 story buildings set on the hillside, overlooking the hotel’s second pool and across the gardens to the Caribbean Sea. All feature spacious double bed (twin beds are available). 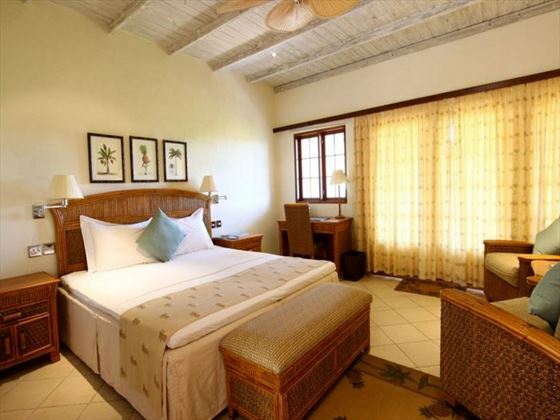 One bedroom villa – Three garden view private villas set in the hotel’s gardens with spacious accommodation, made up of one large bedroom area (available with twin beds or a king size bed) plus a luxury bathroom with ‘rain’ shower and a walk-in closet. The outside terrace also has a small garden area. 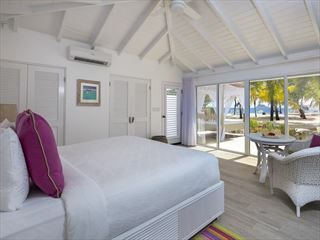 Two bedroom family suite – One family suite similar in location and style to the Classic pool and sea view rooms but with an additional interconnecting separate twin room (both en-suite), ideal for families. 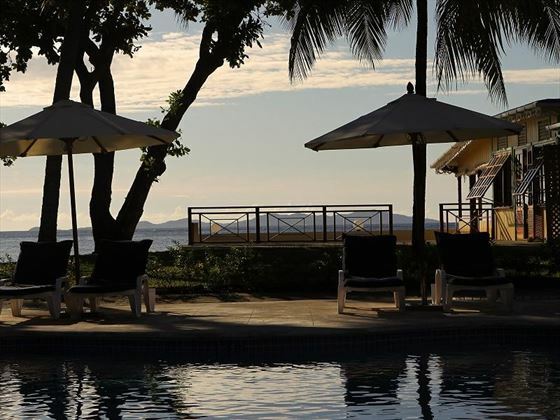 The large balcony overlooks the hotel’s second pool and sun deck and out towards the sea. 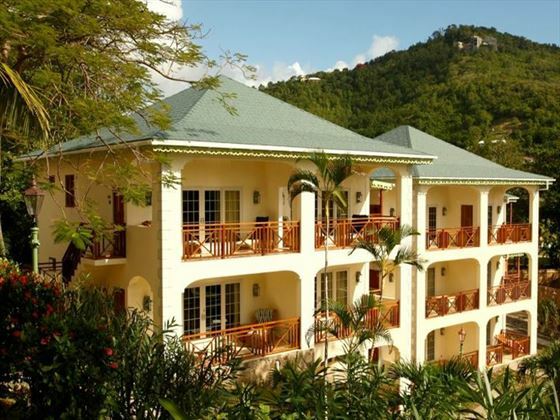 Ocean view suite – 11 split level junior suites with separate sitting area in an attractive 3-storey building with lovely ocean and garden views and oversized bathrooms - offering the largest double accommodation at the hotel (with the exception of the penthouse). King, queen or twin bed options are available. Note: Some of the Ocean view suites have a separate small room at the back suitable for a third person sharing comfortably. These are confirmed strictly on a request basis. 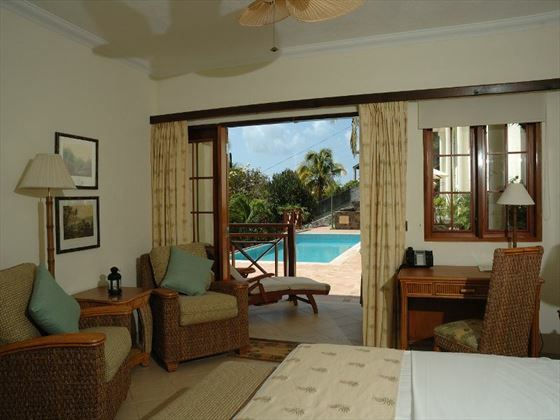 Beach front suite – 14 spacious suites enjoying a fabulous location right overlooking the beach and the sea, and close to the main pool and beach restaurant. King, queen or twin bed options are available and these promise to be the most sought after accommodation. Note: Some of the Beach front suites have an extra bedroom at the back. These are confirmed strictly on a request basis. Two bedroom villa with private pool – Three private villas located in the beautiful gardens a short stroll to the pool and beach, with two bedrooms (can be made up as double and twin), both en-suite sharing a living room and kitchen area and a lovely covered terrace, sun deck and private plunge pool. A favorite with families. 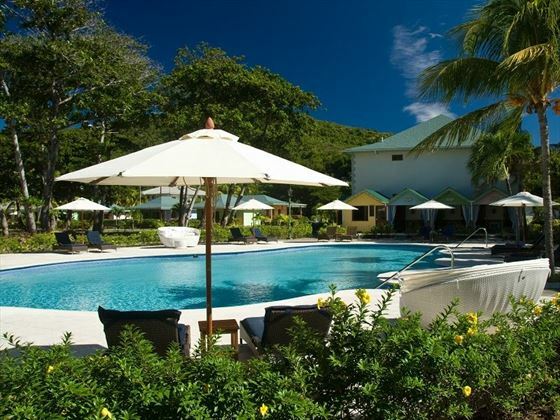 Entertainment three nights a week including Caribbean menu night, BBQ with live reggae music, Lobster fest with live string and calypso music, and lazy Sunday lunch on the beach with live music. There are over 30 excellent dive sites within the Grenadines plus two PADI dive shops on the island as well as deep sea fishing, whale and dolphin watching and snorkeling. Places of interest to visit on the island include Old Hegs Turtle Sanctuary, Hamilton Fort and Mount Pleasant which is the highest accessible point on Bequia and can be visited from the comfort of distinctive open-back taxis. 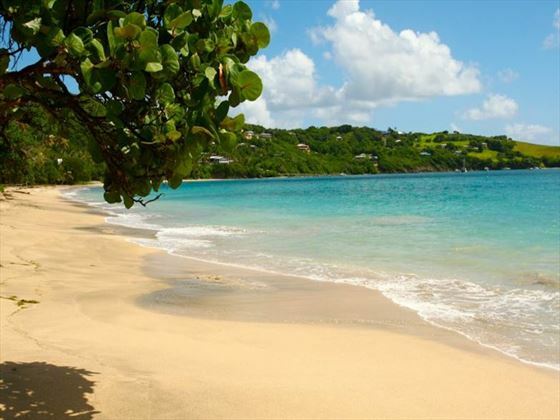 Hiking around the island is easy and perfect for visiting deserted beaches especially the famous Princess Margaret beach, who visited the island from Mustique. For the more adventurous there are sailing trips to the other Grenadine islands, including Isle à Quatre and Petit Nevis where private lunches can be arranged or local ferries will take you to other Grenadine islands such as Canouan, Mayreau and Union Island. 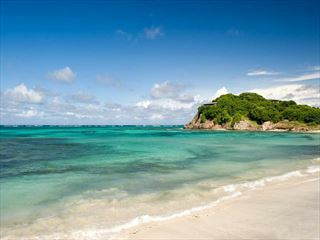 Visit the unique uninhabited Tobago Cays is an experience for diving, snorkeling with turtles, and lobster barbeques on the beach while enjoying the crystal clear waters. Babysitting is approx US$15 per hour. Extra bed charges US$30 per night per child (costs are provided free of charge for infants). 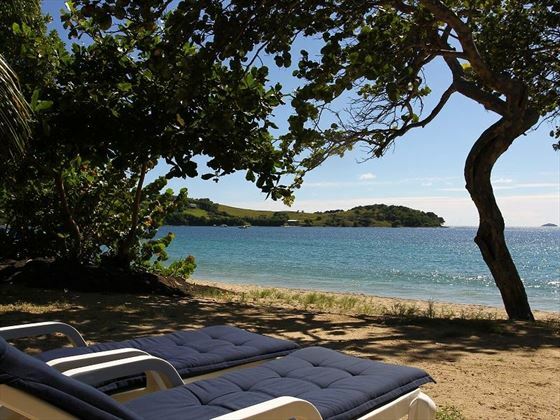 Bequia Beach Bar - Open all day, until the last person leaves. Room Service is available between 8am and 8pm. A 10% charge will be added to the bill. When dining, closed in shoes must be worn, bathing suits must be covered and men must not wear tank tops or sleeveless shirts. After 6.30pm men have to wear long pants and women have to wear dresses, pants or culottes (no shorts or short outfits).